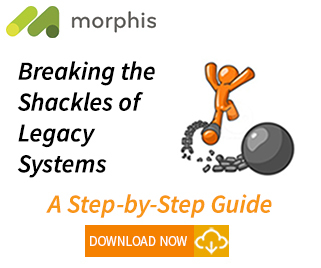 Analyze – how is the legacy application constructed? How large is it? How complex? What are the interdependencies between modules? Which modules are most interconnected/complex and therefore present the greatest risk in a modernization project? You can read more on this stage in several posts on Morphis Insights. This example Application Analysis provides a good overview. Transformation – this is the automatic transformation stage that ingests the legacy application and automatically converts it into target language and environment. The video below shows this stage for Oracle Forms to .NET (C#, ASP.NET, MVC with Razor views). Note that the same platform and process can target the Java equivalent and ingest any legacy language. 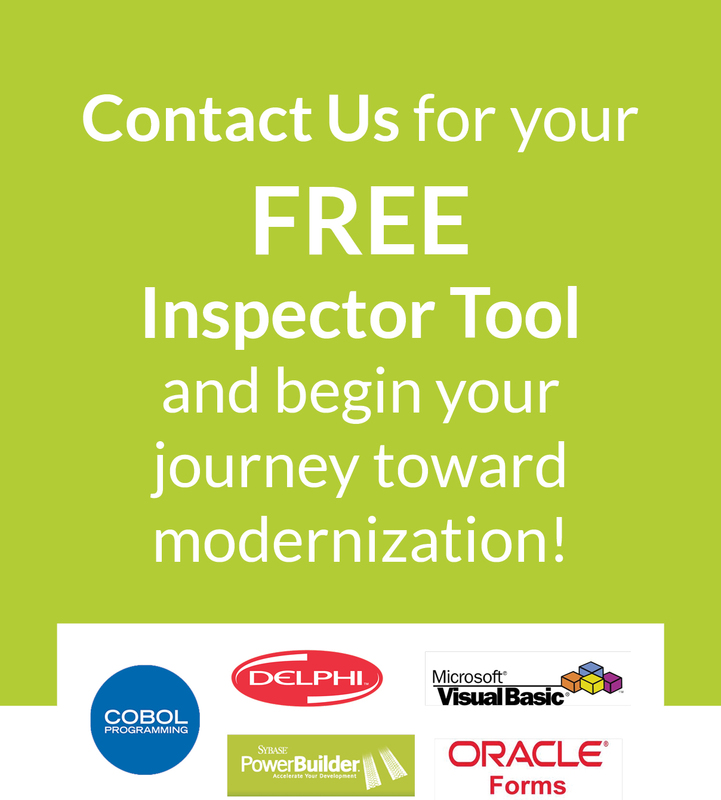 Develop – the low-code development frameworks that enable continued maintenance and development of the modernized applications. This previous post outlines the Morphis low-code development frameworks. 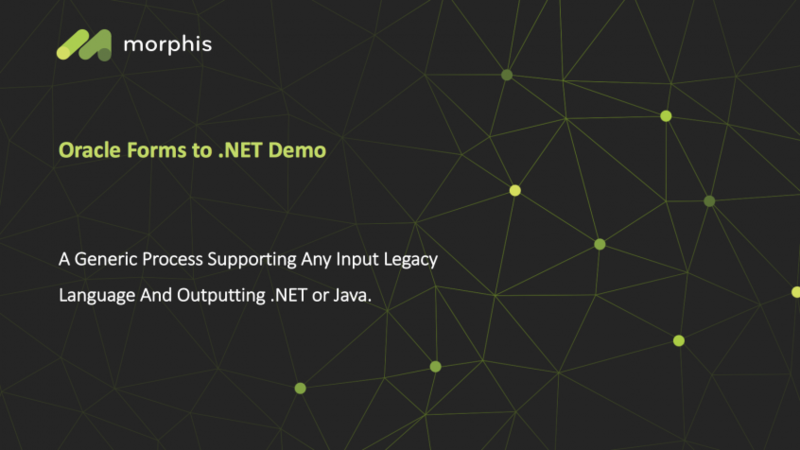 This is the Oracle Forms to .NET demo video for the transformation stage. 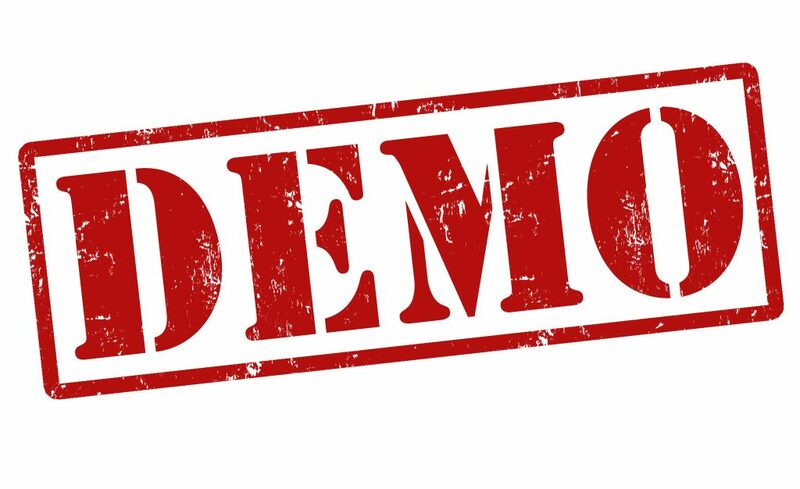 If you have any questions on how we can apply our technology to your legacy applications then please contact us.